Northeast Ohio has plenty of big names to boast about -- astronauts, presidents, athletes and coaches, and many of them have a way of remembering their humble beginnings here. Four-time Super Bowl winning coach Bill Belichick of the New England Patriots is especially partial to Hiram College. He may never have existed if not for the place. For that reason, he's made a sizable, but undisclosed, donation to the school. "I think the contribution speaks for itself," said his agent, Neil Cornrich. "Coach Belichick has a tremendous affinity for this area, and that certainly includes Hiram College where his parents met." 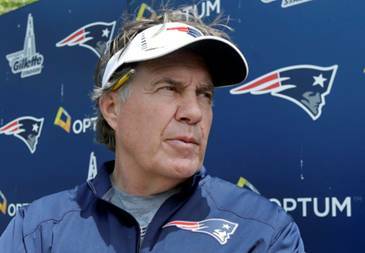 Belichick's parents, Steve Belichick and Jeanette Munn, met at the small northern Portage County liberal arts college in the 1940s, when Steve Belichick was head coach of the football, basketball and track teams, and Munn taught French and Spanish. The gift honors the areas of campus life where his parents made a lasting impact. The donation will help to establish the Coach Steve Belichick Olympic Training Center, naming the facility in the Les and Kathy Coleman Sports, Recreation and Fitness Center; the Jeannette Munn Belichick '42 Reading Room, naming the space on the first floor of the Hiram College Library; and the Jeannette Munn Belichick '42 Endowed Fund, which will provide support for the Hiram College Library in purchasing books and other resources related to foreign languages. "In addition to providing support to library resources, the endowed fund will support the curricular needs of the Center for Global Interaction, one of Hiram's Centers of Distinction, and study away programs," said Christina Russ, assistant director of college communications. "Jeannette's college language books have also been donated to the library." Steve, who grew up in Struthers, in the Youngstown area, went on to serve as assistant coach of Vanderbilt University from 1949 to 1952. The couple married in 1950, and Jeannette became fluent in Croatian to communicate better with her in-laws. Bill, their first son, was born in 1952. He followed in his father's footsteps, choosing a career in coaching, and he has since set the all-time record for postseason victories -- 22, and tied the record for most Super Bowl wins -- four, as an NFL head coach. After Steve's short stint as assistant coach at the University of North Carolina at Chapel Hill, the couple made Annapolis, Md., their permanent home when Steve took a coaching position for the United States Naval Academy. Steve Belichick died in 2005, while Jeanette lives on. Munn Road in Chagrin Falls still bears her family name, just as the place where she started her own family now will too. "Coach Belichick's contribution also reflects his varied intellectual interests, as well as his respect, admiration and appreciation for the education and values that were instilled in him by his parents," Cornrich said.